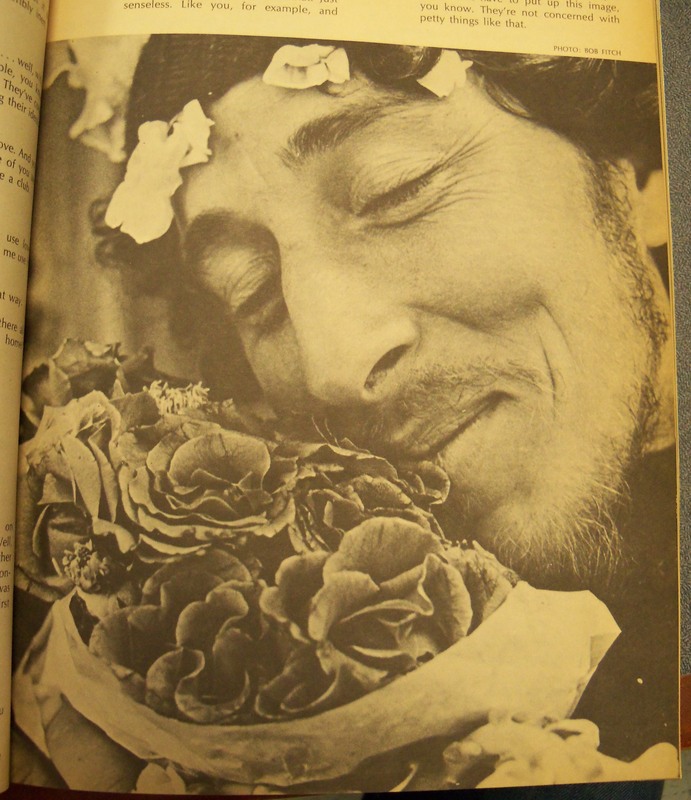 In early 1972, the final two issues of motive magazine (1941-1972) appeared in print. 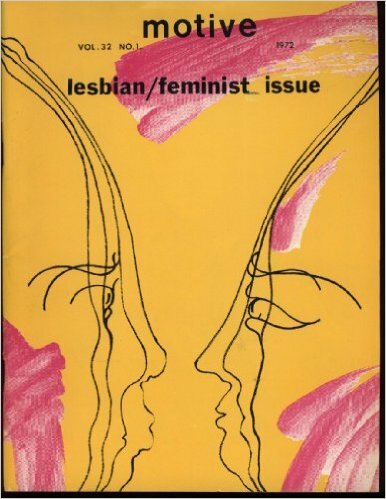 The “lesbian/feminist” issue and “Gay Men’s Liberation and last issue” of motive were prepared by two editorial collectives under the umbrella of MOTIVE, Inc. Many of the collective members were veterans of the publication from its thirty-year run as the official publication of both the denominational Methodist Student Movement (MSM) and, briefly, the ecumenical University Christian Movement (UCM). Throughout Motive’s [sic] history, radical dissension within limits was tolerated with a few slaps on the wrist, but the church fathers really squirmed when the special issue on women appeared in March-April 1969. … [T]he church began to reduce its support for Motive and Motive decided it could no longer function under the church. Motive could not survive without church money so the staff and editorial board decided to close up shop — using the remaining resources of the magazine to put out one final gay issue. Rhetorically situating the post-Methodist motive as “coming out” from underneath the oppressive authority of the “church fathers,” the “lesbian/feminist” issue’s editors, collectively known as The Furies, saw both the institutional church and “the whole male supremacist system” as resistant to radical, feminist change. The liberationists’ narrative of rejection by a church that “squirmed” in the face of the magazine’s feminist and gay agenda is a compelling one — and not, on its face, untrue. Yet lost in this burning-bridges narrative of a publication cast out for its radical politics is the way that a church-sponsored motive opened up a space within which a departure from heteronormative values became possible for its readers, especially young Methodist men and women. As a publication aimed at a young adult readership, motive was charged with the dual mandate of educating young Methodists and amplifying the voice of youth within the denomination. motive staff, subscribers, and church leadership continually debated whether the magazine’s primary task was to challenge readers through exposure to provocative, sometimes even anti-Christian, ideas or to provide clear guidance grounded in church doctrine. In other words, was motive’s task to teach students how to find the correct path in a bewildering world or equip students with the theological and pedagogical resources to determine their own way? A survey of the magazine’s contents between 1962 and 1971 reveals that on the subjects of human sexuality and gender, at least, motive charted a cautiously non-prescriptive path. Young people, irrespective of gender, are depicted as socially engaged and called to service in ways that cross the boundaries of the era’s normative masculinity and femininity. 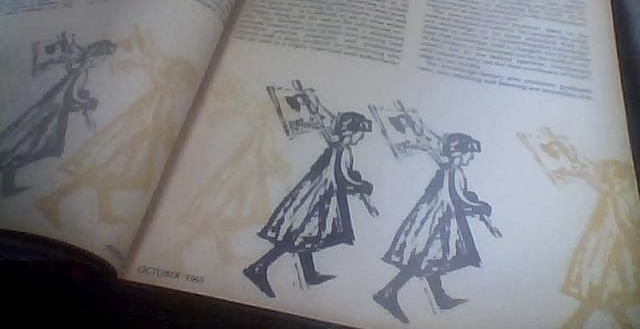 Woodcut illustrations from 1965 depict an individual in a dress carrying a protest sign, while a photograph of a man in hippie garb, cradling flowers illustrates a sympathetic article on the counterculture. A young man reading motive might be prompted to consider non-violence as an expression of masculinity, while a young woman would have been exposed to profiles of female missionaries, educators, and artists — women who were not defined first and foremost by heterosexual marriage and motherhood. I prefer emphasizing the need for developing responsible, meaningful interpersonal relationships. This is a goal we should be seeking as we make human relations decisions— decisions about the use of sexuality, intellect, physical strength, and any other capacities or potentialities. The creation of meaningful personal relationships is the criterion against which we should check our decisions and our results. motive’s cautiously liberal attitudes toward gender and sexual expression were initially tolerated within the bounds of mainline Protestant teachings, even if some readers decried them as “screamingly liberal” and “thoroughly disgusting.” However, by the late 1960s as more stridently feminist, and eventually openly gay and lesbian voices, began to appear in motive’s pages, institutional support for the intellectual independence of the publication was strained to the breaking point. Tensions between readers, editors, and the church peaked around the March-April 1969 issue, which focused on the status of women in society. “The women’s issue,” as it came to be known, was heavily steeped in women’s liberation movement rhetoric and included articles by author Marge Piercy, the W.I.T.C.H. collective, psychologist Naomi Weisstein, and a co-authored piece on “the realities of lesbianism” by activist couple Del Martin and Phyllis Lyon — the first feature-length article on homosexuality ever to be published in motive. The denomination writ large, however, was not as enthusiastic as motive staff about a magazine it sponsored becoming an explicitly counterculture publication. Specifically, the denomination was concerned with the issue’s use of profanity and its article on lesbian sexuality. Criticism was so intense that the General Secretary of the UMC pulled the May 1969 issue of motive from the presses, pending a decision by the Executive Committee of the Division of Higher Education about the magazine’s continued publication. Deep, dark forebodings beset me as to what might happen if my Rebecca got hold of the issue; poor lass — four kids, 100% female, and swears she wouldn’t trade me as a playmate for the best Lesbian in town. Just don’t understand the situation, I guess. In a mere two sentences, Harriger vividly evokes a sexually liberated heteronormativity — his “100% female” wife thinks of him as a sexual playmate! — jeopardized by a single issue of this church-sponsored publication. It turned out to be more work than we had ever imagined. When I edited the women’s liberation issue, there was still a functioning office and staff who did all the labor; well, this time we are having to do it all and discovering that a magazine takes much work. Whether the separation of motive from the UMC was ultimately due to the impatience of its editors who wished to be more closely aligned with movement activism or to the intractability of “the church fathers” and their discomfort with the emerging politics of sexual and women’s liberation, motive’s editorial independence ultimately came at a steep cost. After laboring from July 1971 until early 1972 to complete the twin issues of volume thirty-two, MOTIVE, Inc., admitted defeat and ended the publication’s thirty-year run as an award-winning periodical from the Protestant left. At the same time, motive — before, during, and in the wake of its dissolution — did succeed in creating a liminal space (“radical dissension within limits”) within which staff and readers alike had permission to question, and eventually reject, the heteronormative expectations of their world. Sometimes, the effects of that exposure were subtle, taking decades to emerge. In 1964, motive editor B. J. Stiles was one of the two representatives from the UMC at a gathering of church and homophile leaders called the Consultation on Religion and the Homosexual. At the time, “lack of courage to deal frankly with an explosive subject” led Stiles to indefinitely postpone a planned issue of motive devoted to the subject. Yet during the 1980s, Stiles became a nationally-recognized AIDS activist. He married Steven McCollom, his partner of many years, in 2008. Similarly, though Charlotte Bunch was a young married woman when she joined the motive staff, she came out as a lesbian during her tenure at motive and went on to devote her career to women’s rights activism. She credits, in part, her years of involvement in the Methodist Student Movement for giving her the experience and moral conviction to pursue this unconventional path. Thus, while motive failed as an independent print publication, we should consider the possibility that it ultimately did provide a forum within (and briefly without) the UMC for individuals to ask, and answer for themselves, previously un-askable questions about the social status of women and homosexuals — and about their own values and desires. Anna J. Clutterbuck-Cook is an independent historian and writer with an interest in sexuality and gender. 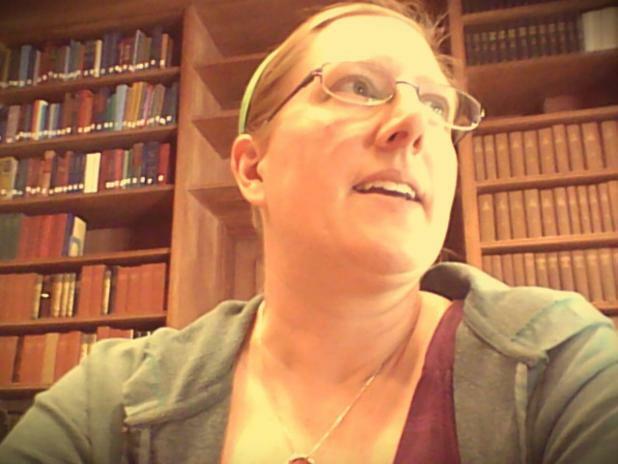 She serves as Reference Librarian at the Massachusetts Historical Society and can be found online at @feministlib and thefeministlibrarian.com.